My first encounter with dog training was at the age of 11. I took first place in a group class with my Doberman, Sidney and I knew it was dogs from then on. After graduating high school I worked in the television commercial business. Returning to school, I entered the Animal Health Technology program at Pierce College and got a job at a busy veterinary practice. Aside from training humans and conditioning canine behavior, I am a mentor trainer with Animal Behavior College, teaching those who are studying to become dog trainers. I have volunteered with Horseback Riding for the Handicapped, the Gibbon Research Center, and was one of the original trainers and founding members of the Heeling Touch Dog Training program in San Luis Obispo. More recently I was the lead trainer for Paws For Life, a dog training program at the California Men’s Colony. 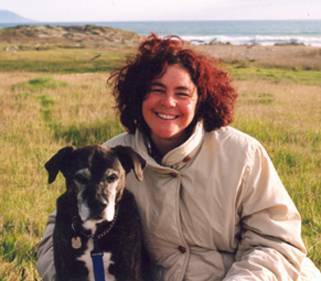 Lisa makes her home in the charming town of Los Osos, California with her musician husband and their three four-legged children, Remo, Chagall and Kahlo.